What’s happening in corporate wellness programs right now could be characterized as something of a revolt. Well, revolt might be a little dramatic (don’t think Arab Spring), but perhaps it’s more appropriate to say that those who are the target of carrot/stick employee wellness strategies are pushing back. They’re pushing back on what has been conventional wisdom for a while: that health-risk assessments and biometric screenings are central (dare I say foundational?) to a sound, data-driven corporate wellness initiative. Employees are pushing back on penalties for not playing, and they’re pushing back on programs that brand failure for anyone who doesn’t achieve arbitrarily selected thresholds for biometric markers. They’re growing intolerant of workplace cultural norms that scream hypocrisy in the face of company wellness policies. As someone involved in the world of corporate health, you’d think I would land squarely on the side of gathering the data and using it to capture ROI. But I don’t; it’s just not that black and white. Why All the Numbers All of the Time? What I’m seeing in the industry is that corporate wellness providers bow to the number-focus of the CFO or the CEO and communicate in ROI-speak that uses words and phrases like engagement and human capital. To the untrained eye, you’d think “engagement” and “human capital” would have something to do with…well, humans. But it turns out, most of the time they have more to do with participation quotas, biometric thresholds, and productivity benchmarks than with the actual people who need tools, resources, and support to make healthier choices. Wellness vendors position and market themselves by spouting figures and “facts” (and I use that word loosely), quoting studies and experts (should I use that word loosely, too?). They put into print ridiculous statistics that have ridiculous consequences—all in the name of numbers, data, and ROI. Raise Your Hand If You Launched a Career in Corporate Wellness to Calculate ROI. Accountants are passionate about numbers. Fitness specialists are passionate about people. Seriously, most of us got into this business because we were passionate about forming relationships with people so that they would trust we had their best interest in mind when we suggested resources that would help them make healthier choices. As an industry, we’ve largely forgotten our roots, which grew from wanting to help people. So who’s to blame? Maybe this isn’t the CEO’s fault; maybe it’s just the way of the world. Maybe it’s the almighty dollar we should be blaming. (I predict a comment that blames the government.) Who knows, maybe it’s my fault. I don’t know where the blame goes, but I don’t think it really matters at this point. We’ve simply swung the pendulum too far onto the numbers side of the equation and we forgot about the people. You know, the people—the individuals who have complicated, busy, overwhelming and typically unhealthy lives. Like the 56-year-old woman with high blood pressure and back pain who is raising her grandchildren and who has no time to take care of herself. Or the single working parent who works by day, goes to school by night, and who is doing everything he can to ensure his daughter has a better life. He struggles to find time to grocery shop, not to mention cook a meal. And then there’s the hourly call center employee who feels hovered-over by her supervisor, who smokes (though she wants to quit but isn’t sure where to start), and who is pregnant with her first child. These Employees Need Our Help. Because at the end of the day, if we don’t move the needle on the health of the individuals, then the corporate strategy means nothing. If the only behavior we incentivize is for people to go get their wellness forms signed so they can “get cash for doing it,” we’ve missed an opportunity. 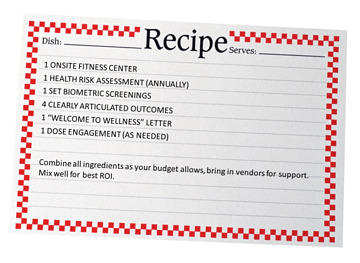 Generating reliable and accurate ROI on a corporate wellness program (I mean the whole thing--biometric screenings, absenteeism, presenteeism, HRA, wellness programming/activities, EAP, etc.) is really, really, really challenging. It requires lots of money, and lots of really smart people who’ve done that kind of work more than once or twice. Piecing out the impact of your corporate fitness center as a standalone element and then determining reliable and accurate ROI from that single piece of your overall strategy is, well, about as likely as spotting a unicorn. You may be thinking to yourself, “But wait…I just saw an article on ROI for corporate fitness and that said 3:1 or 5:1 or 7:1 returns were possible. What’s with the unicorns and the impossibility of calculating ROI for corporate fitness?” It’s true that there is a continuous stream of articles about wellness ROI, and I suspect that there are business development teams for corporate wellness vendors who are armed to the gills with literature that “proves” why their service/product generates the best ROI for said client. You see, there’s a lot of posturing in the corporate wellness market. The industry boasts some very powerful vendors--some of whom have the money and smarts to do the work required in order to generate reliable and accurate ROI. The industry also has a lot of other vendors who don’t have those tools, but who are still competing against those who do. Of this second group, there are two types: the vendor who reports ROI that is neither reliable nor accurate (unicorn anyone? ), and the vendor who doesn’t report ROI. ROI is hard to capture because corporate wellness is complex. There are a lot of moving parts, and to date, the industry has not been able to come together on metrics that are consistent. While this is true for most of the agreed-upon elements of a corporate wellness strategy, let’s just pull out corporate fitness to get a sense of the level of complexity we’re dealing with overall. Any vendor worth its salt will have some kind of prescreening process in place that, once completed, will allow the employee to join the fitness center. (Don’t just take my word for it; check out the standards provided by the American College of Sports Medicine in its Health/Fitness Facility Standards and Guidelines text.) Some vendors skip this process and everyone is instantly a member because they are employees. So the organization with this process instantly reports higher membership (100%!) than the vendor who requires a responsible process be completed prior to gaining membership. Field tests to assess the fitness level of a participant are highly variable and the chosen tests can sway the results depending on the population. It’s the nature of a field test; they aren’t as accurate as in the lab. By now, software to track utilization is widely available at fairly minimal cost. However, if the business isn’t willing to pay for the software, fitness staff are left to track visit data with a manual tally. In either case, software or sign-in sheets, there are issues that can result in significant errors in data collection. Even if we forgive those errors or find a way to account for them, vendors count visit groups differently. “Frequent visitors” might be represented by members with at least one visit per month for vendor A, but vendor B may determine that at least one visit per week is required to achieve “frequent visitor” status. Mixing those variables quickly creates a lot of inconsistency from one program to the next, making it exceptionally hard to compare apples to apples. Then you have other related data to consider—like gym membership subsidy and how to count employee-users of that benefit against or with your corporate fitness center users. Similarly, how do you capture the value, health benefits, and cost of employees who never step foot in the corporate fitness center but maintain their own exercise regimen at home? So if your CFO isn’t going to sniff out ROI on your corporate wellness strategy or any of the individual elements like your worksite fitness center, what should you be looking to for data and outcomes you can believe? Rest assured, I’m not suggesting we revert back to all fluff and feel-good for employee wellness. As an alternative to traditional ROI, consider shifting your thinking toward value. To find out more about what I mean, check a two-part blog I wrote about a year ago where I outlined some ways to think about value from your corporate fitness center. You can read part one here and part two here. If you're looking for how to build the very best corporate fitness center you can for your employees, consider our short webinar series: The Guide to Successful Corporate Fitness Centers. In this blog series, we’re focusing on why fitness fails as part of a corporate wellness strategy. The first two truths looked at how boring fitness programming is dying on the vine and how crucial multilevel organizational support is often missing for wellness elements that are low on the totem pole. Before I jump into truth #3, let me provide a brief intro by way of a true story. A woman joins a fitness center, signs all the required paperwork (including a waiver and release of liability), and embarks on her first studio cycling class. At the beginning of the class, she tells the instructor she’s new to the gym and new to cycling. So the instructor helps her get set up on the bike and advises the new participant to watch him (the instructor) closely for direction. Part way through the class, the instructor advises participants to stand while they ride. As this new member stands, the handlebars dislodge from the bike frame and the member falls to the floor. She sustains injuries that result in long-term chronic pain in her upper extremities. She sues the bike manufacturer and the gym she joined. In the end, the gym walked away without financial liability to the plaintiff (although they no doubt paid their counsel significant sums to argue on their behalf). The court’s decision came back to the club’s use of a waiver. Truth #3: Fitness initiatives fail as part of a corporate wellness strategy because liability and safety are either overlooked or overanalyzed. We live in a litigious society. There is no getting around that and businesses know it. The best you can do is make sure you’re prepared, that you’re practicing industry-accepted norms with respect to gathering and protecting health information as well as securing participant signatures on well-written waivers. Over- or under-responding to liability concerns will get you in trouble. Below we look at each of those scenarios. Sadly, despite the level of corporate policy and legal mumbo jumbo found in employee handbooks and on other business procedures, organizations sometimes fail to plan for their liability in connection with fitness opportunities as part of their corporate wellness strategy. Nothing will shut down your fitness initiative faster than someone getting hurt in a program that wasn’t built with the right liability-managing procedures. Yes, you should be using a well-written and easy-to-understand waiver for your walking program and your group exercise classes. Yes, you need to be thinking about how your liability carrier will react when they learn that you allow spouses into your corporate fitness center after someone has filed a claim. Yes, it is a good idea to have a corporate wellness policy about flex time that allows employees to exercise at work. It should also stipulate that their exercise at work is 100 percent voluntary and not subject to Workers’ Compensation. I can’t tell you how many times I’ve been brought in to consult on a project to build a new fitness center as part of a corporate wellness strategy overhaul and the client has given no thought—zero, zippo—to how they will deal with their liability in the onsite fitness center. The thing about this is that there actually is a whole set of standards and norms for running a fitness center that, when well executed, well documented, and regularly reviewed, is part of a great quality and liability-management practice. While it is more commonly the case that liability is overlooked, there is also the potential to overthink your liability and thus end up paralyzing your programming. Far too many quality fitness initiatives are pulled off at businesses on a regular basis to allow your programs to get stalled by a legal team that is afraid to move. There is a happy medium on this issue and it lies in that place I described earlier: the one where you acknowledge the risks, you take the best steps you can to protect against them, and then you get on with it. Once you find that balance in managing organizational liability with corporate fitness initiatives, you can put more energy back into developing creative programs (truth #1) and cultivating relationships with key stakeholders throughout the organization who can support your fitness initiatives (truth #2). Looking for one resource that contains all four of these truths about why corporate fitness initiatives fail in corporate wellness? Download our eBook for the full series. In part 1 of this blog, I started with a gloomy portrayal of the mess many wellness vendors have made of the seemingly altruistic endeavor of corporate wellness. Okay, maybe corporate wellness isn’t altruistic; maybe that’s a little “Pollyanna” of me. But I think we can agree that one of the primary motives for implementing a corporate wellness program is to help employees improve their health. And if employers are focused on improving employee health through corporate wellness, one of the elements they need in their strategy is opportunities for exercise and physical activity. Enter truth #1: Fitness initiatives fail in corporate wellness because they aren’t creative. Truth #2: Fitness initiatives fail as part of a corporate wellness strategy because they lack multilevel support within the organization. “Support” comes in a lot of different shapes and sizes. 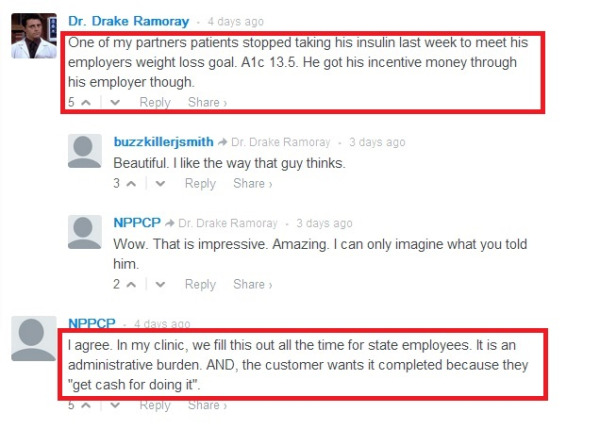 Sometimes it’s about money; in other cases, we need to look at support through company health policy. And in still other circumstances, support comes in the form of hands and feet—actual people who are driving your wellness initiatives. To the CEO, CFO, and COO: We cannot run successful initiatives without money. There is a lot we can accomplish with no more than brains and people power, but at the end of the day, we’ll need some money. Recognizing that and removing the hurdles for your health promotion staff to get basic funding will go a long way toward ensuring success. You’re not Mayor Bloomberg: You don’t have to get your policies passed through government or the courts. Writing policies with some flexibility that allows employees to choose their path will resonate better than dictating your own 10 healthy commandments. For example, if you write a healthy food policy for meetings, you can allow employees to still have donuts and pastries, but their department will have to foot 100 percent of that cost. If they choose fresh fruit, whole-grain bagels, and low-fat yogurt, the company will significantly subsidize the cost of the food. Following are a few key ways to find the support you need to ensure successful fitness programming as part of your corporate wellness strategy. 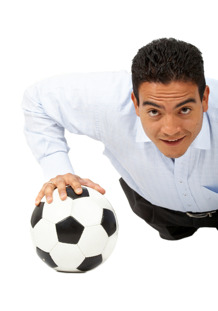 There is a good chance you have employees who are already passionate about regular exercise. Leverage their enthusiasm by anointing them as your fitness champions and providing them with enough support to invite those around them to participate in your corporate fitness program. Put those individuals on your advisory committees or wellness teams and empower them to use their experiences to positively motivate their peers. If you don’t have an onsite corporate fitness center, or your fitness center is not accessible to your entire workforce, implementing a reimbursement policy for fitness center membership may be an important addition to your wellness policies. Use the web as a resource for writing your policy; SHRM offers this sample fitness center reimbursement policy as a guideline. Check with your health insurance provider. They may have a commercial fitness center network you can participate in that offers discounted memberships to your employees as well as countrywide membership for employees who travel routinely. You may also be able to negotiate company membership rates with commercial gyms in your area; most fee-based facilities have an established corporate wellness members programs for this purpose. You can find out more by calling the facility and speaking to a membership representative. Imagine the potential to truly move the needle on the health of your workforce by fostering an environment where colleagues help each other achieve their health-related goals. Consider the impact of successfully meeting those goals as a small piece of each employee’s performance. Help your employees connect the dots between your corporate fitness center and your overall corporate wellness strategy by incentivizing participation in the facility—just like you incentivize participation in other parts of your wellness program. Building a variety of physical activity opportunities into the work day will have the greatest impact if your organization supports a flexible schedule for participation throughout the day. 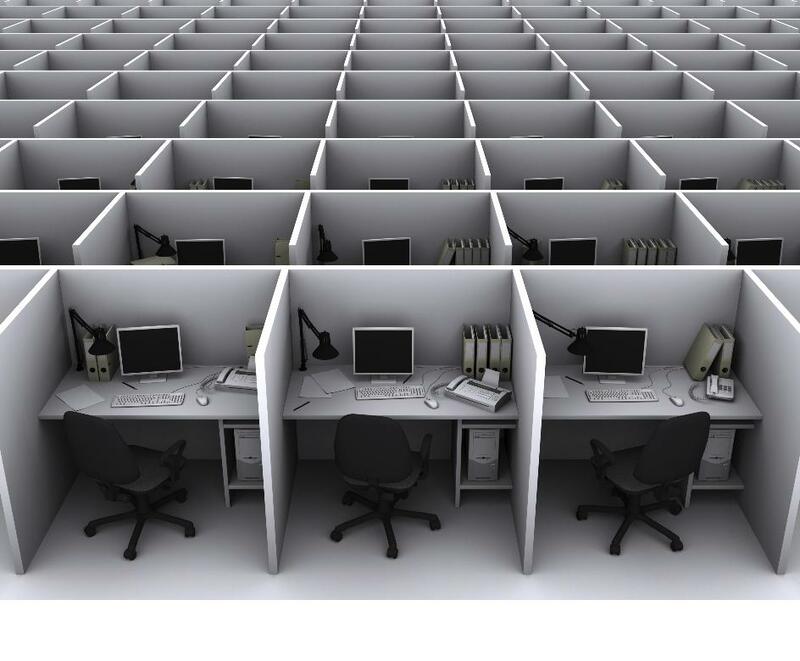 Rethink the traditional workday to allow for increased access to exercise options. When you have a traditional hourly workforce (for example, call-center or manufacturing-based employees), providing flex-time will require some creativity and new thinking to figure out how to maintain business operations while your workforce has 15 minutes of paid daily physical activity time. Spring for t-shirts for your employee-driven walking or running club. Not only do the participants of the running club feel supported by their employer, they also become moving billboards for your organization that promote your interest in your employees’ health. Manage the budget for this simple program by establishing club rules that allow for the company to subsidize participation in one (or two, or whatever the company can afford) road races per year. There’s a good chance you already have a champion at your organization who will spearhead this club; count on that person to take the initiative and to literally run with it. You can’t do it alone. Seriously, you can’t. As you’re mapping out that creative programming we talked about with truth #1, also map out who can provide you with additional support both inside and outside your organization. Up next: truth #3, which focuses on keeping your company out of legal hot water that could arise as a result of poorly planned fitness initiatives. Let’s face it: There’s a lot wrong in corporate wellness today. If you read this article on Forbes.com that summarized a 2013 RAND report on corporate wellness, you might be depressed. Or worse, you might be ready to throw in the towel on your business strategy for improving employee health. And all of those components should be built on the idea of creating a successful environment where employees can thrive. A number of elements need to be in place to create opportunities for employees to access that healthy list. Those elements vary by client, and truth be told, we’re not experts at all of them. The bulk of our work in the last 25+ years has been focused on helping individuals improve their fitness level throughout their lifespan. So I’m going to stick with what we know and provide a four-part blog with time-tested truths about why fitness initiatives fail in corporate wellness programming. Truth #1 is below. Truth #1: Fitness initiatives fail as part of a corporate wellness strategy because of a lack of programming creativity. Why so many corporate wellness programs get stuck on the same old walking program is beyond me. The options for establishing fun, inviting, and effective programs are many. I’ve listed several below based on our experience working with clients of all shapes and sizes. This is by no means an exhaustive list; you are limited only by your own creativity. If this list doesn’t jumpstart you, try searching the Internet and current literature, polling your workforce for what they want, and leveraging the passion of your avid exercisers to build a diverse program portfolio. What does participation and completion look like? Will you include pedometers or advocate that employees enlist the support of a particular app to help them track their progress? Do you want to enlist the support of web-based, fee-oriented programs to help with tracking or will you go with the wearables phenomenon? How will you celebrate successes both during and after the program? How will you support participants throughout the program? There’s something about community that makes group exercise classes appealing. For a lot of people, the only way they exercise is through a class format. Fortunately, this is typically a low-cost initiative, and if you’re willing to pass the cost on to the employee, it can be free for the employer. For more about corporate group fitness classes, download our quick read: 3 Keys to Adding Group Exercise at Work. Honestly, think about the last hotel you were in. Did you venture to the stairwell to get from your second-floor room to the restaurant on the main level only to find that lighting was poor, and your safety in that enclosed space was questionable? I bet you backed up and reluctantly took the elevator down one flight. What a waste! The same experience is being had by employees all over corporate America because our stairwells are dark, boring, uninviting—or worse, unsafe. You can overcome appearance issues by committing minimal dollars for brighter paint and improved lighting. Then cap off the capital improvements by launching a “Take the Stairs” campaign. Visit the CDC’s StairWELL to Better Health website for resources for building a robust and impactful stairwell campaign. If you’re serious about creating a variety of opportunities for your employees to exercise as part of your broader corporate wellness strategy, adding locker rooms to your campus sends a strong message. And if you’re going to go so far as to install the locker room areas, you might as well at least give consideration to providing bike lockers. Serious cyclists won't use traditional bike racks because they don't keep their expensive equipment safe. Unless you want to see bikes stashed in offices and other workspaces inside your workplace, bike lockers deserve consideration. As it turns out, installing locker rooms is kind of the gateway drug to doing bigger projects to ensure the success of fitness initiatives in connection with your corporate wellness strategy. Recommendations around accomplishing this significant undertaking are too much to outline here. For more information on the basic considerations for building a corporate fitness center, you can download our webinar series. The outline above isn’t an exhaustive list, but it’s enough to get you started so that your fitness initiatives avoid the lack-of-creativity trap that seals their doom. Up next, truth #2: Look for information about how stakeholders can help your fitness opportunities either sink or swim. In part 1 of this blog, I went on a bit about the dangers of sitting and then began to describe NIFS’s Fit-It-In program offered by Kathy, one of our managers at a client site. We’re proud to share that Kathy’s initiative, a collaboration with her client, was a large part of the reason her client was able to win the American Heart Association’s Fit-Friendly Company Platinum Designation and the Workplace Innovation Award in 2013. Fit-It-In was conceived to help her associates combat sitting disease. While the program itself is creative and well thought out, the most compelling element (and probably the single biggest contributor to the program’s success) was Kathy’s effective outreach to mid-level managers for their support of the initiative. We knew Kathy was successful at achieving supervisor support when we got this data back from a participant survey: The pre-program survey revealed that 70% of associates felt they had the support of their immediate supervisor to participate in programs that would improve their health; however, by the end of the program that number had improved to 96%. After Kathy garnered the support she needed from executive leadership and mid-level managers at her client location, she set about launching Fit-It-In. With the help of the wellness team at her site, she was able to purchase a fitness band with handles for each associate in that office. Then she started educating the masses on how to use their new band. Through one-on-one meetings in the fitness center, speaking at department meetings, hosting exercise breaks (“flash mobs”), and providing handouts and other literature (which was regularly changed and updated throughout the program) in strategic areas of the building, she was able to reach most of the associate audience more than one time. Following an educational blitz, Kathy continued her efforts to be routinely visible for the associates both in the client’s onsite fitness center promoting short, 15-minute workouts, and at department meetings. She facilitated stretch breaks, walking groups, and other simple opportunities for associates to infuse some physical activity into their otherwise sedentary day. If you read part 1 of this blog, you’ll recall that I described this program as “conceptually simple.” It is. The elements I’ve mentioned are the types of services being offered by corporate health professionals all over the country on a regular basis. What is unique about Fit-It-In is the level of managerial support Kathy garnered as well as the rigorous data she kept throughout the program. How many hours per day are you sedentary? Have you maintained consistent workouts in the past month? Do you feel that you have the support of your manager to maintain your health through amenities and services available at work? Within the first four months of launching Fit-It-In, the percentage of associates participating in any activity over the course of the month increased 34%. The percentage of associates who completed the Fit-It-In band exercises at their desks three to four days per week increased 42%. In the first four months of the program, 33% more associates were walking at work at least five times per week. The data goes on, and on, and on. As I said, Kathy surveys participants monthly to track progress and to continually evaluate opportunities to fine-tune and improve the program. Providing associates with multiple quick exercise/activities, not just one option, was integral to reaching the needs of a varied workforce. Some activities, like the fitness band use and stairwell challenges, worked well for call center associates, while outdoor and indoor walking routes were popular for those who could take more time. We can’t say it enough: middle management buy-in is essential to changing culture. Without the rally meeting sponsored by human resources where management could hear Kathy make the case for the importance of this initiative and provide their feedback, she would not have had the success we saw with the year-long offering. One key subtle difference between this program and others like it is that Kathy incentivized associates reporting their activity instead of offering prizes for completing the activity. 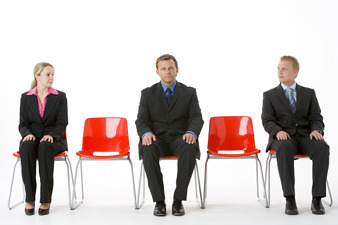 Ongoing self reporting required associates to log into a survey tool and answer questions. 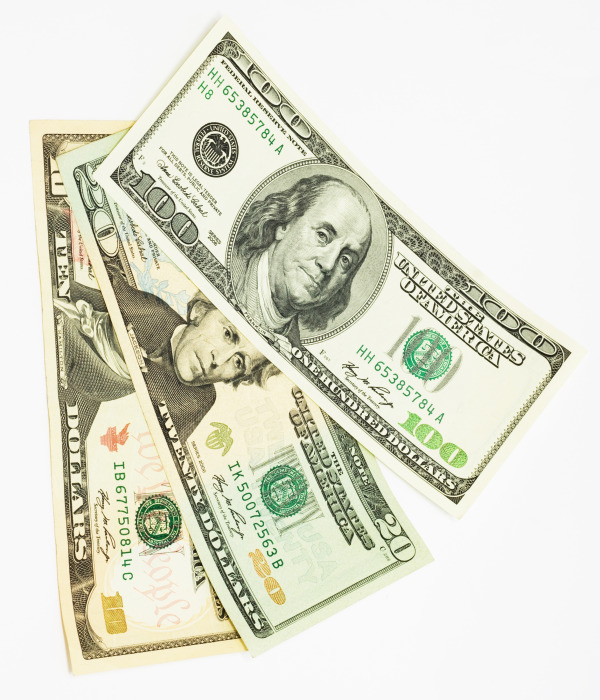 By doing so each month, they were eligible for a valuable (typically around $200) monthly prize drawing. Contact us to learn more about this program or the other services NIFS provides to our clients. If you’re looking for key strategies to engage your workforce, check out our whitepaper on the topic. Pardon me while I use our blog to rant. It doesn't happen often, but apparently there was no amount of pounding the pavement (aka running) that was going to get this out of my head. Lacking other healthy tools to cope with very bad corporate wellness practice, I'm turning to the blog to pound it out on the keyboard. You should stop reading if you don't care about employee engagement, human capital, and ROI in corporate wellness. Shamelessly, this blog is more for me than it is for you. Ok - disclaimer provided. Here we go. There's so much buzz around corporate wellness, it's dizzying. Who can keep track of all the apps, gadgets, providers, platforms, and statistics in employee health promotion?! We're too busy helping people make better choices to keep track of this stuff. Thus, I join other organizations who provide me with updates in the industry periodically; it takes the burden off me feeling like I always have to be search, search, searching for what's up and coming. It all started with an email. So the other day I got an email, much like many other emails, in which a promotion around employee engagement was being peddled. You get these emails, I know you do. This one, in particular, was from a well-known clearinghouse of resources for corporate wellness professionals, and my hunch is that they have a HUGE reach across the US. Provider organizations pay to be promoted by via email to the membership list for this "clearinghouse organization". Let me be clear - I'm not begrudging the organization who sent me the email, or the provider company who paid to reach my inbox. (Though I do feel a little sorry for both who may not know the painful truth about outbound marketing.) The marketing message in that email, however, is at best suspect, and at worst, completely misleading and disingenuous to the hard fought, small gain work that is employee health promotion. No, ladies and gentlemen, absolutely not. The battle for employee engagement in corporate health promotion is won in relationships and over time, and with the evolution of trust and loyalty in the workplace. Offering biometric screenings and cool online HRA that gives you a personal wellness score isn't enough. An onsite fitness center isn't enough. (Believe me... for NIFS business, I wish it was!) And you can't buy your way into the hearts of your employees with trinkets and trips, and other incentives. If you want engagement in your workforce around your corporate wellness initiatives, you start with relationships. You have to work at it by working with your workforce to understand them, their needs, their fears, their hopes. You have to give a little, learn a little, and step out on that relationship-building edge a little. 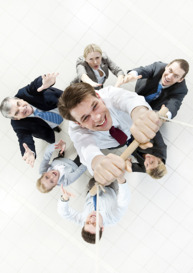 You want your workforce to engage? Treat them like people, get your head out of the corporate wellness ROI clouds, and for crying out loud, quit referring to your workforce as "Human Capital". Want to confess...I mean comment on this post? Have an entirely different point of view? Share it below. Maybe it'll be the start of a beautiful relationship! In part 1 of this blog series, I came out and said it. Corporate wellness isn't all about ROI - it's about people, about doing the right thing, treating people right, making it easier for employees to choose better health. So onto the second consideration...the intangibles, the things we cannot measure, but that have unlimited value. A call center employee has never exercised, but when she starts with your company, she ventures into the onsite fitness center to take a look. She makes a connection with the compassionate staff and within a few weeks of her hire date, she starts exercising in your fitness center. One year later, she is 15 pounds lighter, free from depression medication, and getting better sleep each night. She has less out-of-pocket expense (measureable), the company is paying less for her health care (measureable), and she is more productive for and loyal to your organization for the support she received in the corporate fitness center (unquantifiable). The middle manager has smoked for years. Lacking the confidence to stop on his own, he enters your worksite program and finds success with the support of free nicotine replacement therapy, group cessation classes at work, and the collaborative support from the corporate fitness staff. He swapped his costly nicotine habit for daily 30-minute walks. He is free from the routine cost of buying cigarettes (measurable), the company doesn’t carry the extra cost burden associated with employees who use tobacco (measureable), and his heart health, confidence, and outlook on life are forever changed (unquantifiable). Value is in the eye of the beholder. Create an environment that encourages employees to participate, and your investment will come back to you—not through an algorithm, but in testimonials. Have a testimonial to share about the ways your employer has supported your efforts to choose better health? Tell us about it! The thing about ROI and corporate wellness is, well, it's tricky. Don't believe me? Ask the experts. They’ll tell you that accurately calculating ROI can be done, but that it is very hard to do it the right way. What’s worse is that attempting to isolate ROI for a specific element of your company’s wellness strategy may prove even more elusive. There are so many variables in worksite wellness that it takes significant resources and substantial practice to have any confidence in the ROI figures that might be generated from your program. Trying to ferret out specific ROI by wellness program components, like the fitness center, is nearly impossible. Expecting ROI may set up your corporate fitness center for failure. Try looking at your investment with a different lens. Measure what you can by capturing all the data you can and then looking at all sides of it to determine what is happening for your organization as you shift the health culture. How much money do you save every time someone lowers (or gets off) of their blood pressure, diabetes, or cholesterol-lowering medication? Start your corporate fitness program by assessing how many members are on those medications. In year 3, 5, and 10, figure out how many of those who started the program in year 1 are now off those medications. How much money do you spend on employee turnover annually? Poll your workforce to find out how many feel added loyalty to your organization because of the well-equipped and staffed corporate fitness center. Return doesn't haven't to be all about the money - there's much more to investing in employee health. We believe it's about the people...what do you believe?